Billy Koch was drafted in the 1st round (4th overall) by the Toronto Blue Jays in the 1996 Amateur Draft. Coming out of Clemson, where he played for 3 seasons, Koch impressed Jays scouts by routinely hitting 100mph on the radar gun. After signing for a $1.45 million bonus. 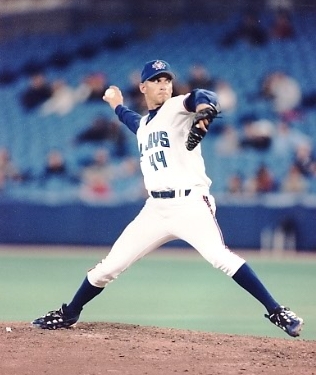 Koch was assigned to high-A level Dunedin of the Florida State League to start the 1997 season, Billy Koch dominated for 20 innings and continued to do so in 1998 – as a starting pitcher. He was promoted quickly to AAA Syracuse at the end of the 1998 season. He made 5 starts in Syracuse before being brought up to Toronto on May 5, 1999 at 24-years old. 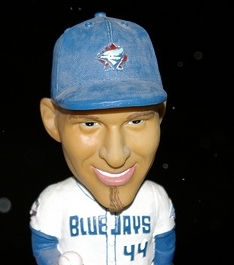 With the departure of closer Randy Myers following the 1998 season, Koch was thrown into the fire as the Jays closer. It was thought that he could be effective in relief by making use of his 100mph fastball and fringe-average curveball – enough to get 3 outs in the 9th. Although he experienced some growing pains, Koch eventually began to thrive in that role and racked up 31 saves on the season, finishing 7th in Rookie of the Year voting. In 2000 Koch racked up another 33 saves and cut down on his walks significantly. 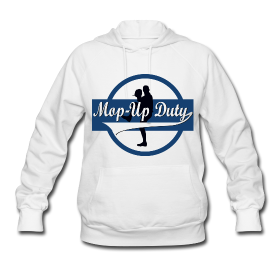 He finished 2nd in the league in games finished, 1 ahead of Yankees’ closer Mariano Rivera. 2001 saw Koch increase his save total yet again – this time to 36 – but he struggled with his control and had a high ERA and WHIP. It was at this time that the JP Ricciardi took over the Toronto Blue Jays reigns as the newly minted GM and one of his first moves in the offseason was to trade Koch to Oakland for the apple of his eye, Eric Hinske. It was Koch’s 2002 campaign in Oakland that was his most memorable; a fantasy baseball player’s ultimate… fantasy. That season Koch appeared in 84 games (most in the majors) and pitched 93.2 innings while racking up 93 strikeouts. He also racked up 44 saves as closer for Oakland but also picked up 11 wins in relief. He finished 1st in the majors in Win Probability Added (WPA). This was such an epic season for a relieve that he even garnered some MVP consideration – and finished 18th in voting. In an attempt to capitalize on Koch’s stellar season and rid the bad taste of a playoff loss, A’s GM Billy Beane sold high and traded Koch to the White Sox for Keith Foulke and a couple of minor leaguers. It proved to be a stroke of genius for Beane, as Koch would never be the same pitcher after suffering the overuse and abuse in 2002 at the hands of A’s manager Art Howe. Billy’s fastball velocity decreased 5-6 miles per hour and he struggled to locate his pitches. He lost his role of closer to Tom Gordon and Damaso Marte. The following season, in 2004, Koch had a token few trade opportunities in order to try to produce some sort of trade value as Shingo Takatsu settled into the closer’s role for the White Sox. It worked – the Marlins took a chance, trading for Koch before the trading deadline with the hope they could get some value out of him as a set-up man for Armando Benitez. He pitched adequately for them, but his salary of $6.375 million combined with his month-long leave for “personal reasons” (more on that later) was too much for the Marlins to go into arbitration with so he was released at season’s end. Ricciardi also called out Koch on his “lax work ethic” and said that was partly to blame for his release. Koch has long had a reputation for being a “character.” It was when Koch was closing games for the Blue Jays when he met Justin Miller, a tattoo aficianado who also happened to be a relief pitcher. Koch dared Miller to tattoo his name on his “hind quarters”. When Koch offered to pay Miller $1500, he quickly agreed. How long did it take him to agree? What made it even better was the play-by-play Miller provided for the stunt. “While he’s getting it done, he puts the phone next to the tattoo gun so I could hear it,” says Koch, who has four tattoos of his own. What does the tattoo say? I [heart] Billy Koch. Of course, Koch has done some crazy things during the course of his playing career. When he attended college at Clemson, Koch liked to shake things up by taking the mound by wearing jean shorts and having them show though his game pants. Once, as a first-year starter, after crossing up his catcher three times on the same night in a game in Honolulu, an apologetic Koch pulled out the wallet and produced a $5 bill. Another time to torment a teammates mother, Koch picked a rancid tomato off a Wendy’s parking lot and popped it in his mouth, although he didn’t swallow it. “Mrs. Burnham got grossed out real easy,” he said. Not all of Koch’s antics have been positive, as we detailed here when he was arrested for being involved in a bat fight. But of all his extraordinary stories, the one Koch still enjoys the most is the one about Miller’s tattoo. Following Koch’s retirement, he has made the news for being diagnosed with a very strange disease which might have contributed to the demise of his pitching career. Morgellon’s disease has afflicted both Koch, his wife Brandi, and his three children. Morgellons disease is a poorly understood condition which a growing number of physicians believe to be a chronic infectious disease. The disease can be both disabling and disfiguring. The symptoms include itching, biting and crawling sensations, “filaments” or fibers which emerge from the skin, skin lesions which range from minor to disfiguring, joint pain, debilitating fatigue, changes in cognition, memory loss, mood disturbance and serious neurological manifestations. Although the Centers for Disease Control and Prevention (CDC) is currently investigating the disease, it is not yet fully recognized by the medical community. At this time, the cause of Morgellons disease is unknown and there is no known cure. 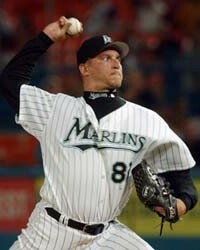 He first began to notice the symptoms when he took his leave from the Florida Marlins in 2004. “He freaked out. He wanted to ignore it I wanted to too. But when it comes to your kids, you gotta stop ignoring it,” said Koch’s wife Brandi. The disease is characterized by slow healing skin lesions that often extrude small, dark filaments, especially after bathing. “That’s when it would really just ooze — literally ooze out of my skin,” explained Brandi Koch. In addition to the skin issues, Morgellon’s causes uncontrollable muscle twitching – often keeping Koch awake all throughout the night. Oklahoma State University Professor Randy Wymore has conducted research of what is now called Morgellon’s disease. The first thing Wymore’s team did was to attempt to identify the “black specks” that come out of the skin. Wymore says his tests rule out not only textile fibers, but also insects, animal material, worms and even human hair and skin. He says the filaments are not an external contamination. In other words, they are a substance that materializes somehow inside the body, apparent remnants of something infectious. And Wymore says skin problems are not the worst symptoms. He says a neurotoxin or microorganism may disturb muscle control and memory. In 2006 there were only 3,000 families in the US that suffer from these same unexplained symptoms and they are curiously clustered in Florida, on the Gulf Coast, and in the San Francisco Bay area. Today 14,720 families in the US are registered as experiencing Morgellon’s symptoms. Most Morgellons patients, if found positive for Chlamydophila pneumonia, a Babesia species or a Borrelia species pathogenic to humans and given appropriate antibiotics long enough, resolve most symptoms. Research and clinical experience are still too early, and numbers treated too few as yet, to know whether present treatment success will mean total, once-and-for-all cure. Many Morgellons patients are improving significantly. One other thing. Conspiracy theorists believe that the symptoms of Morgellon’s are a direct result of BIOTERRORISM. There is no evidence to substantiate this claim, however. Weird – I had only ever heard of Morgellan’s on Coast to Coast AM. Nice article. I always like Koch, and his found his ‘antics’ amusing. Sorry to hear of the family’s battle with the rare disorder. That 1996 draft was pretty terrible for first round talent. The Jays had the 4th and 16th draft position and only ended up with a closer to show for it. Ugh. Joe Lawrence. So bad, but a chance for a cheap plug! So many bums in that 2nd round too. I think the only notable player from that round is Jimmy Rollins. I remember when Billy first came up. My dad and I were at the game and lucky to actually be about a dozen rows behind the plate for that game. We had never heard a catcher’s mitt pop like that. Billy had some serious heat. I honestly didn’t see this article turning into a discussion on a ‘disease’ but interesting regardless. I still think it’s a load of crap, and I don’t think it affected his career at all. Kelekin, I hope your next. I think you a a load of crap and you don’t even know what you are talking about – so shut your trap!